Directly across the lodge from the Master in the West is the Senior Warden. The Senior Warden is like the Vice-President of the group and assists the Master in the operations of the Lodge and assumes charge in the event the Master be absent. The Senior Warden of Queen City Lodge No. 761 is Toby L. Lillard. The Secretary’s Desk is to the left of the Master’s station. His duty is to record all Lodge proceedings. He is also in charge of receiving all incoming money and in turn forwards all money to the Treasurer. The Secretary of the Lodge is the Chief Operating Officer. The Secretary of Queen City Lodge No. 761 is Michael E. Ellis, PM. To the right of the Master is the Treasurer seat. His duty is to pay bills approved for payment and conduct the financial affairs for the lodge.The Treasurer is like the Chief Financial Officer. The Treasurer of Queen City Lodge No. 761 is Michael L. Lankford, PM. The Senior Deacon is seated to the right of the Worshipful Master and in front of the Treasurer. His responsibility includes the welcome and introduction of lodge visitors. The Senior Deacon of Queen City Lodge No. 761 is Brian R. Song. The Junior Deacon is seated in front and to the right of the Senior Warden. The Junior Deacon’s place is just inside the door of the Lodge Room where he serves as The Inner Guard. He also is responsible for admitting members and visitors. The Junior Deacon of Queen City Lodge No. 761 is Joel R. Andalon, PM. The Senior Steward is seated in front and to the right of the Junior Warden. The Senior Steward serves as one of two of the Junior Warden’s assistanst and ensures that the Lodge Decorum is in place and that the Brothers are taken care of during the hour of refreshment. The Senior Steward of Queen City Lodge No. 761 is Samuel Grubbs. The Junior Steward is seated in front and to the left of the Junior Warden. The Junior Steward serves as one of two of the Junior Warden’s assistanst and ensures that the Lodge Decorum is in place and that the Brothers are taken care of during the hour of refreshment. The Junior Steward of Queen City Lodge No. 761 is Daniel Rotta. The Outer Guard is called the Tiler. He duty is to remain outside the Lodge Door during meetings to make sure only qualified people enter. 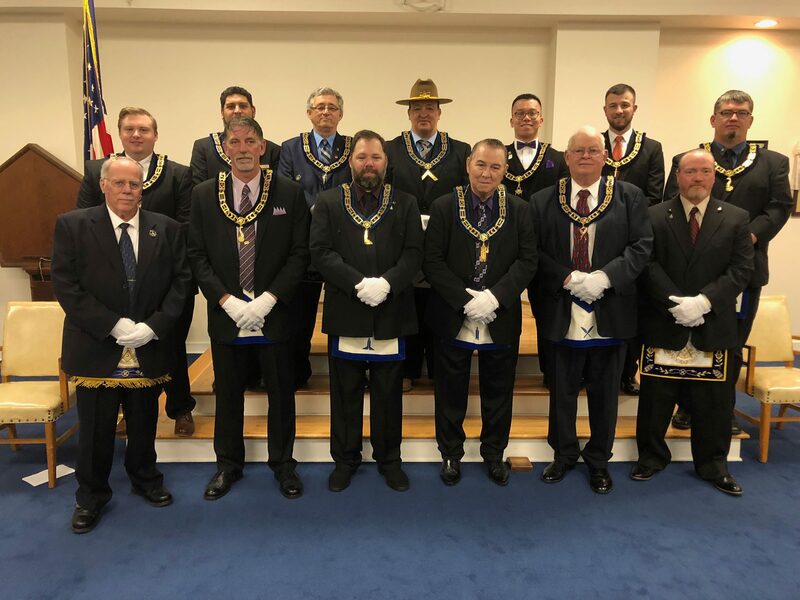 The Tiler of Queen City Lodge No. 761 is Timothy Onusko, PM. The Chaplain looks after the spiritual side of the Masonic Lodge.The Chaplain of Queen City Lodge No. 761 is Charles L. Griffin, PM.